One of the most promising yet least-studied and least-understood developments for the universal human rights ‘project’ (as Sir Nigel Rodley coined it) is the emergence and early development over the past three or four years of so-called ‘national mechanisms for implementation, reporting and follow-up’ (NMIRFs). These standing bodies, which usually enjoy high-level political backing, are responsible for coordinating the implementation, as appropriate, of all recommendations received by a State from all relevant UN human rights mechanisms, as well as – in some instances – from regional human rights mechanisms. NMIRFs are founded upon an understanding that, in order to bridge the long-standing ‘implementation gap’ (the difference between universal norms that States have signed up to and local reality), States must pay continuous attention to the entire ‘implementation-reporting cycle,’ as well as upon an understanding that the recommendations by all mechanisms tend to overlap and be complementary. These mechanisms therefore also help States to streamline and ease the process of implementation, and to reduce their reporting burden. 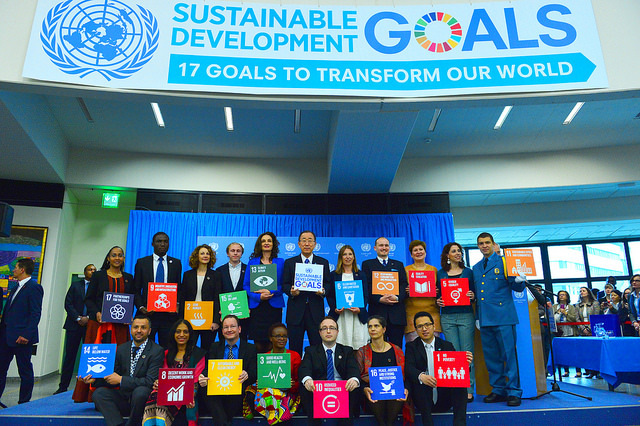 The emergence – apparently spontaneously – of NMIRFs in South America, the Caribbean, Africa, Eastern Europe and the Pacific (in nearly all cases, within the administrations of developing countries) holds out the tantalising possibility of major advances in the global promotion and protection of human rights and, by extension, in progress towards achieving the Sustainable Development Goals (“SDGs”). This blog tells their story. Since 1948, the UN has advanced an extensive human rights project. This has included the elaboration of a wide canopy of universal human rights norms through eight core conventions, and myriad protocols, resolutions and guidelines. The UN has also developed a number of compliance mechanisms (Special Procedures, Treaty Bodies and the Universal Periodic Review – UPR) to assist and monitor State progress towards complying with those norms. These mechanisms, though different in nature, each produces the same output: recommendations for improved compliance. Taken together, these recommendations – based on States’ own obligations and commitments, voluntarily assumed, and elaborated through the engagement and cooperation of governments – represent a detailed, nuanced and politically astute blueprint for human rights, rule of law and democratic reform for – in principle – every country on the planet. Unfortunately, since 1948 most of the international community’s attention has been focused principally on elaborating norms, and engaging with the international mechanisms – relatively little attention has been paid to the actual mechanics of how States then implement the recommendations at the national level, and the challenges they face when doing so. This is a concern, because it means the international community has no way of knowing for sure whether, and to what degree, States are making progress on the ground. It is also a shame because many States, especially developing countries, face similar implementation challenges (especially related to the large number of – often overlapping – recommendations they receive) and could learn from each other in terms of how to overcome obstacles to national implementation and eventually bridge the infamous human rights ‘implementation gap’. However, all this is starting to change. Over the past three or four years, a number of States, especially Small States, have taken steps to establish and develop single, unified ‘national mechanisms for implementation, reporting and follow-up’ (NMIRFs). These are single, streamlined, standing structures within government (though linked to parliaments, judiciaries and civil society) responsible for reporting to all mechanisms, receiving and clustering all recommendations, coordinating the implementation of those recommendations (as appropriate) across the different branches of government, and then compiling all periodic reports on progress (back to the UN). Some NMIRFs also link human rights recommendations to relevant SDGs and targets, which is highly desirable because over 90% of SDG targets are underpinned by human rights obligations. Effective NMIRFs, it is envisioned, may help States comply with their international human rights obligations and commitments in a more sustainable, comprehensive and efficient way. The creation of the Human Rights Council was partly designed to bridge this long-standing ‘implementation gap,’ with then-Secretary-General Kofi Annan calling for the end of the ‘era of declaration’, and a move forward to an ‘era of implementation.’ However, for the first ten years of the Council’s life, the body and the human rights mechanisms continued to produce thousands of recommendations, together with hundreds of resolutions, reports, and principles; yet with little thought or attention paid to the mechanics of national implementation or to the measurement of progress. The first important steps to move beyond this situation actually took place outside the intergovernmental structures of the Council – in the context of the 2011-2014 Treaty Body strengthening process and, in particular, a 2012 report by the then High Commissioner for Human Rights, Navi Pillay. In 2015, consideration of the questions and ideas contained in the High Commissioner’s report switched to States in the Council. An important starting point was the second Glion Human Rights Dialogue (Glion II), a retreat in the Swiss Alps for senior Council policymakers. One key point of discussion at Glion II was that the Council should re-orientate its methods of work towards improved follow-up on the implementation, by States, of human rights obligations and commitments. ‘The sheer number and sometimes overlapping nature of recommendations’ was identified as a barrier to implementation. One year later, a Policy Report by the Universal Rights Group (URG) critiquing the first two cycles of the UPR, made similar points: arguing that ‘State delegations in Geneva regularly complain of being ‘overwhelmed’ or ‘lost in a jungle’ of recommendations,’ and that more attention should be paid to strengthening national implementation-reporting systems and making them more inclusive (i.e. not just government-led but also involving parliaments, NHRIs, civil society, etc.). One clear symptom of the important capacity challenges facing States at this time, and their related inability to efficiently and effectively implement and report on UN human rights obligations and commitments, was the inability of many countries to comply with their reporting obligations. For example, a 2016 report by the UN Secretary-General found that only 13 per cent of States Parties to the human rights treaties had fully met their reporting obligations (as of 19 January 2016). Moreover, even where States were reporting on time, URG’s 2016 report on the UPR process found that most State/national reports (as well as most NGO/shadow reports) were not focused on providing information on the degree to which States had implemented previous recommendations, but rather on providing general human rights information about the country-concerned. This suggests that most States were not actively tracking progress with implementation and impact. These challenges – i.e. the difficulties inherent in implementing and reporting on a large number of recommendations (an average State can expect to receive well over a thousand recommendations from all mechanisms over a 4-5 year period) – were further exacerbated by the overwhelmingly ad hoc, piecemeal and ‘siloed’ way in which States organised systems of implementation and reporting. Depending on the mechanism or treaty in question, different government departments/ministries would have primary responsibility for implementation and reporting. For example, a country’s gender ministry might be responsible for implementing CEDAW recommendations and preparing periodic reports; the justice ministry or attorney general’s office might be responsible for ICCPR and CAT; and the foreign ministry responsible for coordinating engagement with the Special Procedures and UPR. In other instances, different line ministries might be responsible for implementation, but the foreign ministry would be responsible for reporting – leading to obvious problems of coordination. Even in countries with relatively well-established inter-ministerial committees on human rights, the potential for pursuing a fragmented, duplicative and confused approach to implementation reporting is clear. Finally, and linked to the above point, national processes and systems of implementation-reporting have always tended to be bureaucratic rather than democratic in nature – tightly controlled by civil servants in a closed process largely taking place within government, rather than involving members of parliament and other elected officials, NHRIs and civil society in a more open dialogue. The emergence of NMIRFs in different parts of the world – especially in Small States and all at approximately the same time – appears to have been the result of different government officials in those countries (interestingly, usually women – and often supported by UN human rights advisors), when faced with the above-mentioned challenges, devising new and innovative ways to improve, simplify and streamline national implementation-reporting processes. Broadly speaking, these individuals (in places such as Paraguay, Ecuador, Bahamas, Seychelles and Samoa) came to realise that if all recommendations from all mechanisms (and under all treaties) could be brought together in one place and clustered according to key themes/proposals, then it would drastically reduce the overall number of recommendations to be acted upon, would facilitate appropriate prioritisation of the more significant recommendations, and would also help overcome capacity-constraints by concentrating resources in one mechanism, eliminating siloes and making coordination (for both implementation and reporting) far easier. In some places, these ‘founding mothers/fathers’ or pioneers of NMIRFs also realised that single national mechanisms (what we now call NMIRFs) also made structured and systematic engagement with parliamentarians, judges and lawyers, the police and prisons services, NHRIs and NGOs, more straightforward. Because these early mechanisms emerged – almost organically – in different parts of the world and in an unconnected manner (i.e. bottom up), rather than via an international process of development (i.e. top down), and because we are still in the very early formative years of their development, there has been a great deal of confusion about what to call them, and about what is, and what is not, an NMIRF. As we have seen, one of the earliest efforts to understand and provide a name for these national implementation mechanisms was in Navi Pillay’s 2012 report on Treaty Body strengthening. In that report, the High Commissioner introduced the conceptual basis of what she termed ‘standing national reporting and coordination mechanisms (SNRCMs).’ Looking back at that report, it becomes clear just how clear-sighted and far-sighted Pillay’s proposals were. In 2015, Norway, Switzerland and URG included the emergence of national implementation mechanisms as a point for discussion at Glion II, (see above). In the background papers for the retreat, URG proposed the name ‘standing national implementation, coordination and reporting structures’ (SNICRS – i.e. pronounced like the chocolate bar), and the Glion II outcome report identified a number of characteristics (or perhaps nascent principles) that might help define a NMIRF. These criteria included that NMIRFs: should be standing in nature; should enjoy high level political support; should by inclusive of all relevant national stakeholders; should receive and coordinate the implementation/reporting of all recommendations from all mechanisms (i.e. have a holistic mandate); and should have a dedicated, capacitated and continuous staff. These criteria or early principles were further refined in the outcome report of Glion III. In 2016, OHCHR published a Practical Guide and accompanying Study on the subject, in which the mechanism was called ‘national mechanisms for reporting and follow-up’ (NMRFs). The OHCHR’s Guide proposed four ‘key conditions’ or ‘capacities’ that help define and guide the development of NMRFs: engagement, coordination, consultation and information management. Unfortunately, the report also argued that notwithstanding these capacities, there is ‘no one size fits all’ for NMRFs – i.e. almost any coordinating structure at national level, including ad hoc inter-ministerial committees, can be termed an NMRF. This has led to confusion, and to many States now claiming they have an NMRF when this claim is in fact questionable because the mechanism does not satisfy the minimum conditions. Also in 2016, URG and Portugal established a new Group of Friends at the Human Rights Council, to help promote the quantitative and qualitative development of NMRFs. The ‘Group of Friends (GOF) on national implementation/NMIRFs (Portugal and URG added the ‘I’ based on their belief that ‘implementation’ is key to the utility and relevance of this new type of mechanism), now includes around 40 States, as well as OHCHR and interested UN agencies (e.g. UNFPA). The GOF provides a space for States to share experiences and good practices on the establishment and development of NMIRFs, deliver joint statements on NMIRFs at sessions of the Human Rights Council (the most recent, at the Council’s 40th session, can be read here), and asks advanced questions and provides recommendations on NMIRFs during each UN Member States’ UPR. Crucially (for the future development of NMIRFs), the GOF is also coordinating the organisation of an international process of regional meetings on NMIRFs; the first of which is due to take place in Fiji in April 2019. This process of meetings, based on the model that led to the Paris Principles for NHRIs, will provide a space for States to share good practice on the development of NMIRFs, and also to agree principles (at regional and, ultimately, the global level) to help guide States in the creation of effective and accountable NMIRFs. The second noteworthy development is that, in 2018-2019, there has been growing interest in the contribution of improved human rights implementation, and the development of NMIRFs, to the realisation of the 2030 Agenda for Sustainable Development and the SDGs. In March 2018, Chile and Denmark, together with a wider core group, tabled and secured the adoption of Council resolution 37/24 on human rights and the SDGs. With the resolution, the Council acknowledged ‘that the promotion and protection of human rights and the implementation of the 2030 Agenda are interrelated and mutually reinforcing,’ noted ‘the contributions of the international human rights mechanisms, including the human rights treaty bodies, the special procedures of the Human Rights Council and the universal periodic review, in promoting the implementation of the 2030 Agenda in accordance with States’ human rights obligations,’ and then decided to organise inter-sessional meetings on human rights and the SDGs in 2019 and 2020. During the 2019 meeting (January 2019), a large number of States shared good practice on NMIRFs and how they also contribute to SDG implementation. This acknowledgment of the direct relationship between national human rights implementation and the achievement of the SDGs should stimulate further interest in NMIRFs, and further accelerate their qualitative and quantitative expansion/development around the world.